Home > Articles > How Do Husbands Rate Their Marriage? The Survey Says…. A majority of the men surveyed gave their marriage strong ratings. In responding to the survey, roughly 80% of Iron Sharpens Iron men rated their marriage either “godly” (presumably the highest level) or “good,” and 20% said their marriage was “fine” or “struggling.” Although one in five couples clearly need additional help and hope, the overall results are not only encouraging: they generally match the findings of our research and that of many other social scientists! Two popular misconceptions create an inaccurate view of marriage. It is a popular misconception that most marriages are just hanging on. The reality is that most people enjoy being married! In our survey for The Surprising Secrets of Highly Happy Marriages, which compared both husband and wife answers, 71% of couples had good-to-great marriages, and 29% had so-so or struggling marriages. Men: how would your wife answer the survey question? Ask her! 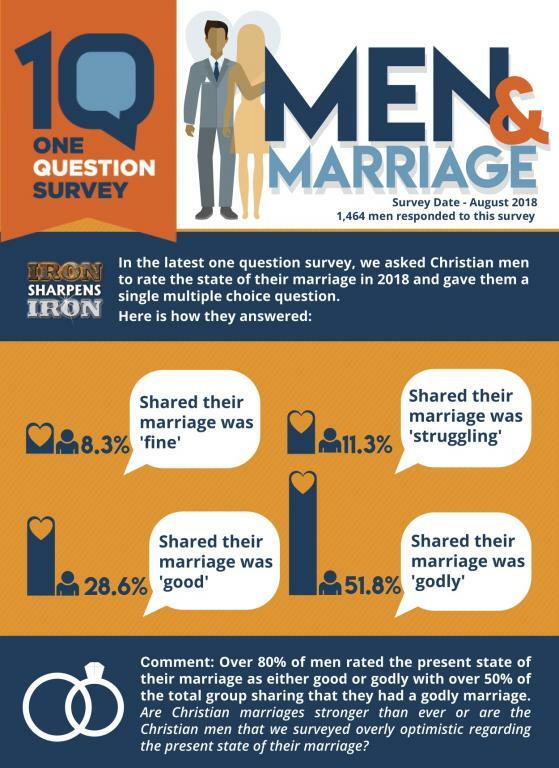 Although those positive findings are quite encouraging, the Iron Sharpens Iron men—and you—might want to dig deeper by asking a key question: what would the numbers be if your wives had also taken this one-question survey? We found a mismatch in about 10% of couples, where a husband rated a marriage good or great and the wife rated it so-so or struggling. 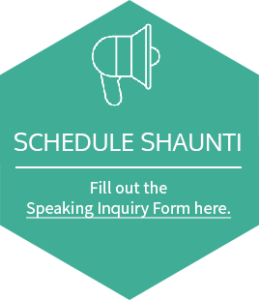 If a husband is willing to use this question as a gentle conversation starter, it can be a great opportunity for him to hear his wife’s heart. Listen and engage, to encourage your wife and draw you closer. The key for any godly man is to learn how to listen and engage with any concerns, hopes, or requests raised by his wife, without seeing them as personal criticism. Most women, when they want to talk about the relationship, are not saying “you’ve failed”—although we know it sounds like that to you! Instead, they’re saying, “This is an opportunity for us to get closer, and here’s what would help.” For all marriages—especially those that truly need more encouragement and support—showing a desire to get closer is a great first step for any husband who wants to lead his marriage well.